As one of the world’s most exciting and vibrant cities, a holiday to the bustling Thai metropolis of Bangkok is a chance to experience a destination like no other. Indulge yourself in lavish splendour by booking one of our world-class 5 star Bangkok hotels. 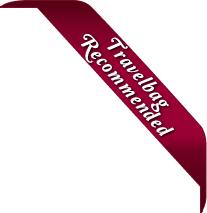 Bangkok is home to some of the world’s biggest, best and most luxurious 5 star hotels and resorts, and Travelbag offers a comprehensive selection to ensure you pick the venue that is right for you. Located on the Chao Phraya River, Royal Orchid Sheraton Hotel & Towers offers panoramic river views from each one of its newly renovated guestrooms and offers first class facilities in a resort-style setting. Location is everything, and with the hotel being located in the renowned Pratunam district, guests will be spoilt for choice on whether to indulge in the culture and excitement of the surrounding area or to take advantage of the hotels own entertainment venues, from the relaxing spa to the refreshing pool. Set in the heart of Bangkok’s shopping and business regions, Anantara Bangkok Sathorn is the ideal retreat for those planning a visit to Thailand’s capital city for both work and pleasure. The hotel is located near the underground MRT and BTS Skytrain allowing for superb access to each and every district of Bangkok, not to mention the direct link walkway to the boutiques and entertainment outlets of the adjacent Central Plaza. The Centara Grand is a 5 star luxury hotel located in the heart of the city's best shopping and commercial district, and is fully integrated to a world class leisure and retail complex, CentralWorld. An array of unparalleled dining experiences and a world class spa will make this the ultimate accommodation choice for your stay in Bangkok. Shangri-La Hotel boasts unrivalled levels of luxury, hospitality and service in an elegant resort-style setting along the riverside. Close to Bangkok's central districts and a short walk from the skytrain station. A reputed premier hotel located in the heart of Thailand’s vibrant capital city Bangkok, Dusit Thani Bangkok has no parallel in luxury and quality. Dusit Thani Bangkok can be found opposite the beautiful Lumpini Park, which, when blended with the dramatic Bangkok skyline, creates an epic setting for an unforgettable stay. The striking Millennium Hilton Bangkok stands on the banks of the Chao Phraya River. Contemporary and chic in design, with a wide range of facilities and offering breathtaking river views. Located along the prime Sukhumvit Road, the hotel is ideally established close to the main transportation routes of the BTS Skytrain and MRT Subway for ease of access to the other districts around Bangkok as well as being nearby to the Queen Sirikit Convention Centre, perfect for business travellers. Located on the corner of Sathorn and Rama IV Roads in the heart of Bangkok, the SO Sofitel Bangkok hotel is a breathtaking showcase of contemporary hospitality in an excellent city centre setting. Set apart by its unique ‘Tree of Life’ emblem – designed by the famed Christian Lacroix -, SO Sofitel Bangkok blends the themes of Water, Earth, Wood, Metal and Fire with traditional Thai hospitality to create a sensual ambience. Soaring high above the city skyline, the Banyan Tree combines luxury and elegance in the heart of Bangkok. Its sleek design yields unparalleled panoramic views, from the cool, palm-fringed oasis of the outdoor deck swimming pool to the fabulous Vertigo and Moon Bar - a sophisticated rooftop dining venue in a truly spectacular setting. Located in downtown Bangkok, Sofitel Bangkok Sukhumvit is an excellent choice for a relaxing and luxurious Bangkok holiday hotel. Boasting 381 lavish guestrooms and suites, the five-star Sofitel Bangkok Sukhumvit offers an elegant blend of French-inspired hospitality in a wonderful city centre location. The chic Le Meridien Bangkok stands tall over the Bangkok skyline offering stylish and contemporary accommodation for those seeking a Thailand trip. Wonderfully located within Bangok’s reputed entertainment zone, Le Meridien Bangkok is close to Patpong Night Market, while the proximity to the Silom business district makes this the ideal choice for corporate travellers. The hotel sits along South Sathorn Road, a quiet location untouched by the cacophony of the city but ideally situated with ease of access in mind to Bangkok’s many wonders; from the cultural hotspots and fine dining choices to the entertainment outlets and riveting nightlife. When you set eyes on the authentic Thai architecture and traditional artefacts that distinguish the marvellous Sukhothai Hotel, you know you are in a special place. A haven of tranquillity amidst the bustle of Bangkok, the centrally-located Sukhothai Hotel remains a delightful escape with its warm hues and peaceful setting. Bangkok is a city where old and new co-exist, where familiar meets exotic. Here, visitors are treated to a truly unique experience. Whether shopping for high-end luxuries in the megamalls or vintage finds in the market; cruising down the soothing waters of the Chao Phraya River or cycling the bustling streets; sampling unique street fares or enjoying five-course meals – there is truly something for everyone. In a land of excess, those who can look past the sensory overload and embrace the pulsating city streets will be greatly rewarded. Taking in the cityscape while sipping cocktails on a rooftop bar. Scoring high-end designer goods and local handicrafts at the markets. Embarking on a culinary tour of the city’s acclaimed street food stalls. Gliding along the klongs (canals) and stopping at the Damnoen Saduak Floating Market. Gawking at the beautiful Emerald Buddha at Wat Phra Kaeo. Strolling through the lively street stalls of Chinatown. For more information about Travelbag’s custom holidays to Bangkok, please contact us at 0203 139 7074 and speak with one of our friendly and knowledgeable experts. Language – Thai if the official language and English is widely used. The weather in Bangkok is typically hot and humid. The best time to visit is between mid October and mid February. During this time, the city’s temperature is relatively mild, with high’s averaging 32°C and less rainfall than average. This is also the peak travel season and Bangkok’s festival season. In April, the weather is at its hottest and is very humid. This can make for extremely unpleasant conditions. The monsoon season runs from May to October, with August and September seeing the most rainfall. During this time, flooding is common, however, it does not stop people from visiting. July and August are also popular travel months. If crowds are an issue, those who do not mind hotter temperatures and humidity should consider traveling between April and June and between September and October. April is also the time during which the city’s most celebrated festival – Songkran (New Year). With temperatures capable of reaching the upper 30s, high humidity levels and heavy rains, it’s best to pack a variety of lightweight, casual clothes. Be sure to bring some clothes that are a little more conservative for visits to temples. Both men and women should cover their shoulders and knees. Rain jackets can be heavy and hot, so instead, purchase an umbrella in town. To avoid sunburn, be sure to bring plenty of sunblock with a SPF of at least 30. Hats and sunglasses are also a must, since the sun in Bangkok is relentless. Rehydrating solutions can also help in the event of heat exhaustion and dehydration. Small first aid kits are always beneficial. Fill it with anti-diarrhoea medication, insect repellent, pain relief, antibacterial cream, water-purification tablets and insect repellent. Always carry some tissue with you, as toilet tissue may not always be available in public places. Bangkok experiences frequent power outages, so a small torch is essential. A pocketknife will also come in handy in a variety of situations.